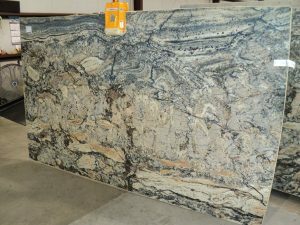 Purchasing and installing new granite countertops Dallas for your kitchen is obviously a big decision. It includes a variety of processes, such as selecting, purchasing, and installing – all of which can either be expensive and overwhelming. This is especially true if you have no idea about kitchen granite countertops cost. Still, at the end of the day, new granite countertops can add value and a unique appeal to your home. Here are some tips that will help make your purchase simple and pain-free. Granite is a natural stone that can vary widely in color, veining, and patterns. These variations often do not appear accurately on smaller sized samples. It is also a good idea to ask the fabricator to lay out your slab, so you know exactly what will color variations or veins will be shown on certain areas of your countertop and where a seam between two slabs might be placed. Try to hire a company that does their own fabricating and installing rather than using subcontractors. Why? That is because it can lower the cost of kitchen granite countertops in Dallas. Besides, you want to have a good idea the people that will be working in your home when the countertop is installed. 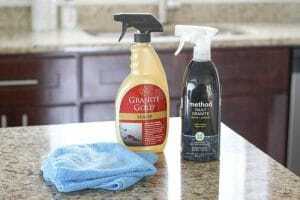 This is arguably one of the best ways to purchase and save money on buying granite countertops. Remnants are basically leftovers, but they actually are beneficial especially when trying to save money. If you would like granite on a small kitchen countertop, ask the company if they have any granite remnant. Since remnant is leftover granite from other jobs, it can automatically be an advantageous strategy for you, allowing you to save tons of money. stains on your beautiful new granite. No matter how cheap the cost of Dallas’ granite countertops, it will not pointless if your countertop gets destroyed in the process. Hence, it is important that you know and understand how to maintain it. After all, it is not a tiring process. You can do it just by using warm water and soap. Want to know more about granite countertops for your kitchen? Give us a call today at Hard Rock Imports. One of our experts will be there to assist you, so you will know what your options are. Call us now and we will provide you with a no cost, no obligation estimate.